Since completing the Muhammad Ali Scholars program in 2015, Aaisha has graduated from the University of Louisville with her degrees in Psychology, Political Science, and Paralegal Studies. The plethora of experiences she gained from being a scholar have helped her discover her passion for international law, media, politics, interfaith issues, and policies impacting women and children. Aaisha has always been an advocate for spreading interfaith peace. After publishing her first social justice/women’s fiction novel in 2013, Aaisha has spoken at multiple conferences, events, and board meetings concerning issues ranging from Islamophobia and media politics, to social issues adversely impacting women and children. In the spring of 2016, Aaisha accepted her first international speaking engagement and has since been featured in multiple television, newspaper, and radio interviews. 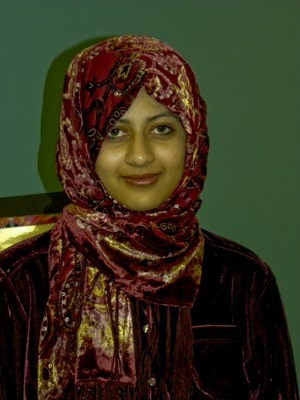 Aaisha is currently a graduate student studying political journalism and international affairs in an accelerated political science master’s program at the University of Louisville. She has also recently been offered a position as a Conflicts Analyst Assistant at Hogan Lovells US LLP, an international law firm that has launched a global initiative to address gender-based violence and fight social injustice through its grandiose pro-bono program. According to Mahogany, the Muhammad Ali Scholars program expanded her views of education and her idea of educating. Mahogany Mayfield is a senior who will graduate in May 2016 with an Individualized Major. Her studies include a minor in Creative Writing, with concentrations in Women and Gender Studies, Pan African Studies, and Education. 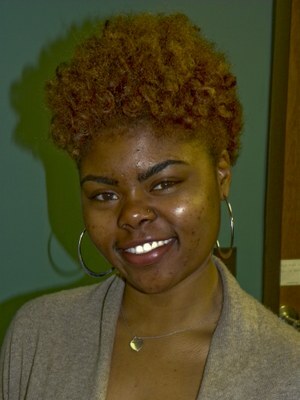 Mahogany has structured her Individualized Major to study “Teaching the African Diaspora.” Coming into college, her dream was to become an educator in urban Louisville and essentially change the world by giving back to her hometown through educating underrepresented youth. According to Mahogany, the Muhammad Ali Scholars program expanded her views of education and her idea of educating. Mahogany is now using her leadership experiences on campus and in our community to enrich and empower all those with whom she works about this enlightened vision of education. Her studies, as well as her own black girl experience, have inspired her to keep black girls and women as her primary focus. Though Mahogany has not yet pinpointed the direction she wants to take when she graduates in May 2016, she knows that whatever she chooses as her next step will be centered around “celebrating, liberating, and motivating sistas.” While discovering her talents and passion, Mahogany has become immersed in the ongoing, difficult work of dismantling systemic oppression in Louisville through her many roles on campus and community. Mahogany has served as the President of the Association of Black Students, which inspired her to take on her current role serving as a student liaison between black student organizations and the office of the Vice Provost for Diversity and International Affairs. Mahogany sits on Louisville’s Office of Safe and Healthy Neighborhood’s One Love Implementation Team, which is geared towards reducing the rates of homicides, suicides, and overdoses throughout Louisville. This semester Mahogany has had the unique opportunity to assist with community-based research on the impact of the criminal justice system in four different neighborhoods in Louisville, including: Portland, Russell, Germantown and Algonquin. These experiences are equipping Mahogany for success in her postgraduate plans. All of us who know Mahogany at the Muhammad Ali Institute are confident that Mahogany will continue her inspiring work in the Louisville community, as well as internationally, and continue to empower others with her dedication, compassion, energy and warmth. As an Ali Scholar, Mahogany studied peace reconciliation and social justice in Rwanda in 2014. Since then Mahogany has traveled to Morocco with the Women’s Center, and looks forward to traveling to Cape Town, South Africa in May 2016 to study race and gender by working hands-on as intern with a local NGO. Her commitment to excellence and fearlessness in seeking opportunities to make a difference is a model for other students passionate about social justice issues. This passion has motivated Mahogany to construct a unique undergraduate program providing opportunities for her to speak at academic conferences, study and travel abroad, and pursue her ultimate goal of being a voice for the voiceless! "I became engrossed in the subject of agriculture and small farmers in Africa during the Muhammad Ali Scholars trip to Ghana in 2010"
This summer, I had the amazing opportunity of working as a research intern at NASA Goddard Space Flight Center in Greenbelt, MD, right outside of Washington , D.C. No, I am not an aspiring astronaut or robotics engineer. I am majoring in geography and I am interested in social justice issues and bridging the gap between the scientific community and development projects in developing countries. This summer, I worked with Dr. Molly Brown, a NASA research scientist who collaborates with the Famine Early Warning System Network, or FEWS NET. FEWS NET uses scientific data and on the ground knowledge and experience to predict when, where and how severe food insecurity and famines around the world will occur. NASA's earth observation satellites can provide climate and vegetation information for FEWS NET, who will then use that information to warn the U.S. Agency for International Development (USAID) of areas of the world that need humanitarian relief. Over the summer, our project was to create new food price indices that could show spikes in food prices for commodities that are consumed mostly by the poorest populations in Africa, Central America, and the Middle East. Sudden spikes and drops in food prices can be detrimental to communities that rely on intra and inter-regional trade. Because of my work this summer, I have begun research on a project for my undergraduate senior thesis. I am studying how to use earth observation satellites to provide financial stability for small farmers in Ehtiopia that are at risk of severe drought. In December, I will be going to the Tigray region of northern Ethiopia to collect field data and interview farmers.